Who wants an update on my latest project? *crickets…* I’ll give you one anyway. 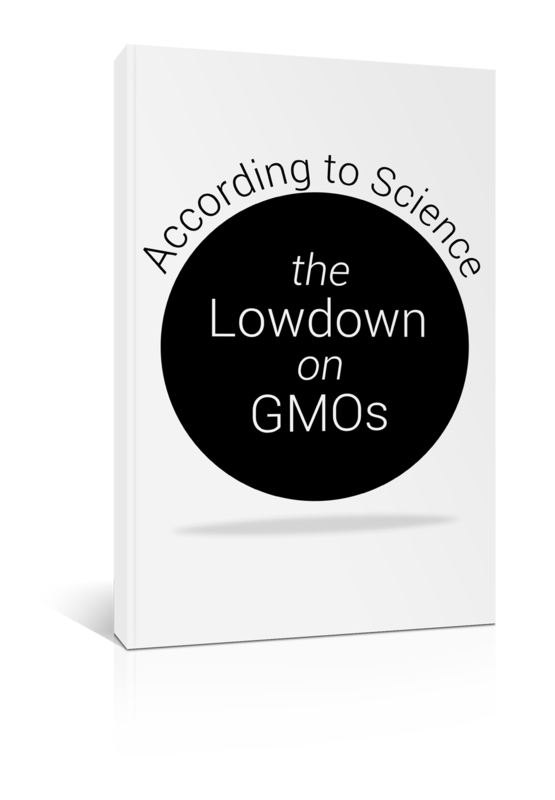 I’m sure a few of my readers recall my Lowdown on GMOs interview series. The first, with a scientist, then with a family farmer, and finally, with the CEO of a biotech firm that will soon release a biotech fruit: the Arctic Apple. There are plenty of succinct, authoritative, and accessible articles on GMOs out there that make the science and benefits clear. And I was of the persuasion that, as Mark Lynas put it at his speech in Cornell University that this subject has been one of the greatest science communication failures of the last half-century. So I had an idea: why don’t I collect those articles, with permission of course, and jumble them in with my Q&As into a GMO eBook. I, humbly, set it up so that I would receive a majority of the proceeds from the book; in true capitalist fashion, 90% of the sale price of each book ($0.00) will go directly into my severely stomach-inflamed, statistically significant piggy bank. Pretty hard-hitting. Upon reading it, I had 2 options. Ignore it and pretend all was dandy dory, and in time hopefully forgetting it was ever there, or learn from it. I chose, as hard as it is, to learn from it (or try very hard to with all my biases). I want to learn, even if that means getting my ego bruised, battered, and burned at the public stake in the short-term: indulge thyself at my expense.